Sepultura Biography, Discography, Music News on 100 XR - The Net's #1 Rock Station!!! Though their name means “grave” in Portuguese language, Sepultura came to life in 1984, in Belo Horizonte, BRAZIL. The group, which initially featured lead singer + rhythm guitarist Max Cavalera, lead guitarist Jairo T. 'Tormentor', bassist Paulo Xisto -a.k.a. Paulo Jr.- and drummer Iggor Cavalera, became the most popular Death-Metal Heavy-Metal Brazilian band worldwide. The band made its recording debut with a 5-track EP titled "Bestial Devastation" in 1985 and followed it up with their first full-length LP, "Morbid Visions", a year later. 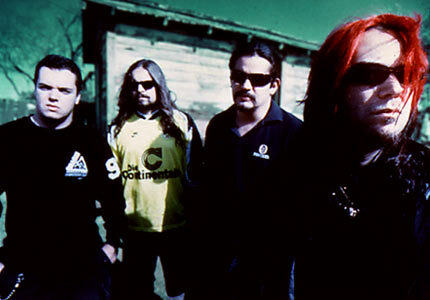 After relocating to São Paulo, Jairo T. was replaced by new lead guitarist Andreas Kisser; the revamped line-up would then hit the studio in the summer of 1987 to record the band's second full-length album, "Schizophrenia", constant touring, rehearsal and the addition of Kisser helped Sepultura develop their sound and gave them an entirely new set of experiences on which to draw. Not long after they caught the eye of New York-based Roadrunner Records who released "Schizophrenia" worldwide. In May 1989 the band released "Beneath The Remains" which was supported by an extensive international tour; that year they also had their first hit with "Inner Self", for which they also filmed their first video. Sepultura rose to new heights with its fourth album, "Arise"; the record hit the top 40 in the U.K. and reached #119 on The Billboard Top 200 chart upon its April 1991 release selling over one million copies worldwide; first single "Dead Embryonic Cells" was unquestionably the strongest of the band's Death-Metal era. Two years later "Chaos A.D." brought the band into the top 40 of The Billboard 200 Albums chart for the first time, helped on its way by two singles: "Territory" and "Refuse / Resist"; their fifth studio record also peaked at #11 in Britain. In March 1996, Sepultura returned after almost two years of silence with their widely acclaimed "Roots"; the set incorporated Brazilian rhythms as well as field recordings of the Xavantes Indians, Faith No More singer Mike Patton, Korn frontman Jonathan Davis and Limp Bizkit's DJ Lethal all pop up on the album which rose to #27 on The Billboard 200 list and hit #4 in the U.K. giving the band a career-best chart placing in the process. However "Roots" closed a major chapter for the group, since after recording the album, Max Cavalera departed to form Soulfly. 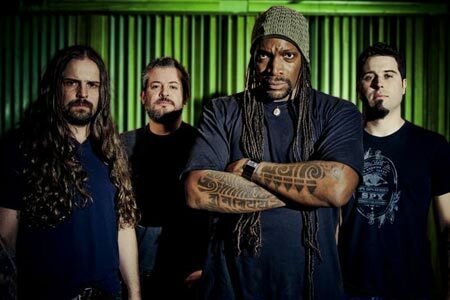 The rest of the band decided to remain together and proceeded to find a new vocalist; Cleveland-born Derrick Green joined Sepultura officially in June 1998 and the group soon found itself in the recording studio to cut their seventh full-length album, "Against"; but it didn't gain the praise and popularity compared to the band's previous albums, barely breaking into the top 100 in U.S. and into the top 40 in Britain. Following the same formula as their first LP without Cavalera, the Brazilian quartet resurfaced in spring 2001 with "Nation", this album didn't find a large audience reaching a modest #134 on The Billboard 200 and quickly disappeared from the charts. The group's next studio record, "Roorback", came out during the summer of 2003 and not surprisingly, the album was welcomed by critics but made only a brief appearance in the top 20 of the U.S. Independent chart. Sepultura next album was 2006's "Dante XXI", it was the first to feature Jean Dolabella on drums; the quartet continued to be one of the more challenging Metal bands on the scene, as Green has looked to "The Divine Comedy" by Italian poet Dante Alighieri for inspiration. Two years later, original drummer, Iggor Cavalera, partnered with his brother Max in Cavalera Conspiracy. The band's eleventh album entitled "A-Lex", a conceptual piece based on Anthony Burgess 1962 novel "A Clockwork Orange", was released worldwide in January 2009. "Kairos" followed in June 2011.